Have you ever walked into a room, a business, or gone someplace and suddenly felt negative energy surrounding you? Chances are you have and you didn’t feel comfortable there so you left or relocated yourself to an area that felt more comfortable. This is negative energy. It drags you down and you can really feel it. Smudging will get rid of this negative energy. Smudging is a Native American term that describes a way to give your homestead a spiritual cleansing or blessing. It calls on the sacred plants to rid the homestead of negative energy and to restore the balance. It can be done for the homestead, for a person, or for a space. It’s kind of like giving your homestead a good thorough cleaning and blessing the happenings that go on at your homestead all in one. The smoke from the smudging is believed to clear the air of negative energy and to give the area a blessing. It can also do a lot to reduce stress levels. Many people have a ritual that they do to reduce their stress levels and when done right, this too can work for that same purpose. 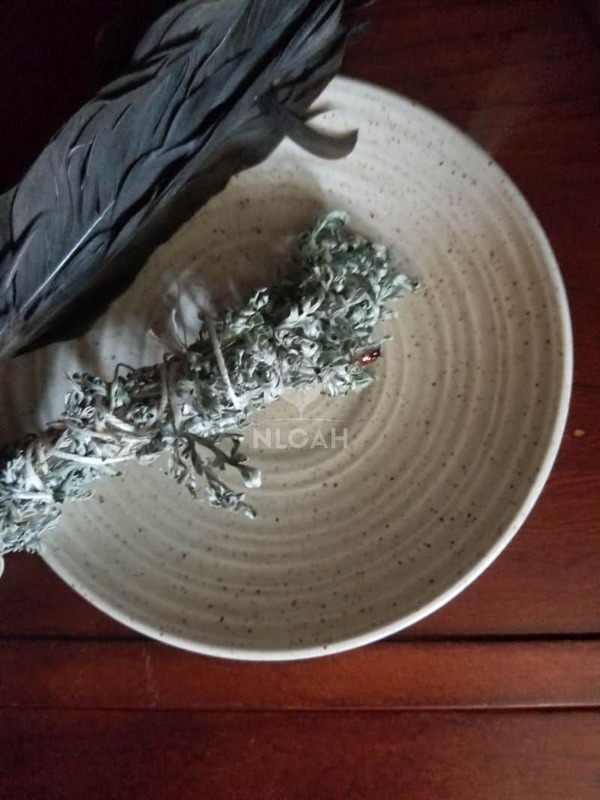 Smudging is also done after sickness to cleanse the home of the virus that inhabited it causing illness. According to ancient traditions, all plants have a certain purpose and have their own spiritual benefits. This goes above and beyond their edible uses. Here are a few of the benefits of some of the plants that are often used in smudging. Smudging isn’t anything new, in fact, it’s been around for many centuries. It’s a collection of rituals or routines that help to center oneself, the homestead, and reduce stress. Have you ever felt depressed or down and suddenly you smelled a scent that reminded you of your grandmother and felt better? Have you ever been down and suddenly the sun came out and you could smell the flowers as they wafted in through an open window after a brief rain shower? Suddenly, you felt a little bit better. Smudging works in much the same fashion only you’re in control, not mother nature. You don’t have to have any particular religious affiliation to smudge or believe in smudging. You don’t have to feel that you’re doing something sacrilegious either. Many churches use a form of smudging in their services. From lighting candles to lighting forms of incense it all works to help the congregation stay focused on the service at hand. Native American’s believed that the burning of plants and the smoke carried their desires and prayers to heaven. Smudging works to help center your world, cleanse your surroundings and give you a sense of peace. Sweetgrass (purification and cleansing after an illness, energizing) This is often burned after smudging as a stronger cleanser. 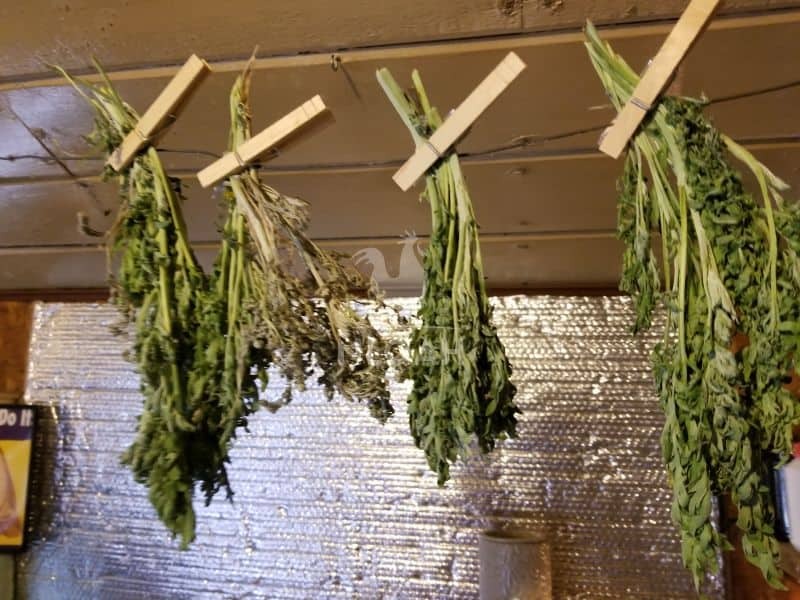 It’s always recommended to use what is already growing in your surroundings to smudge with. In our case, I use a “Mountain sage” that grows profusely on our property. 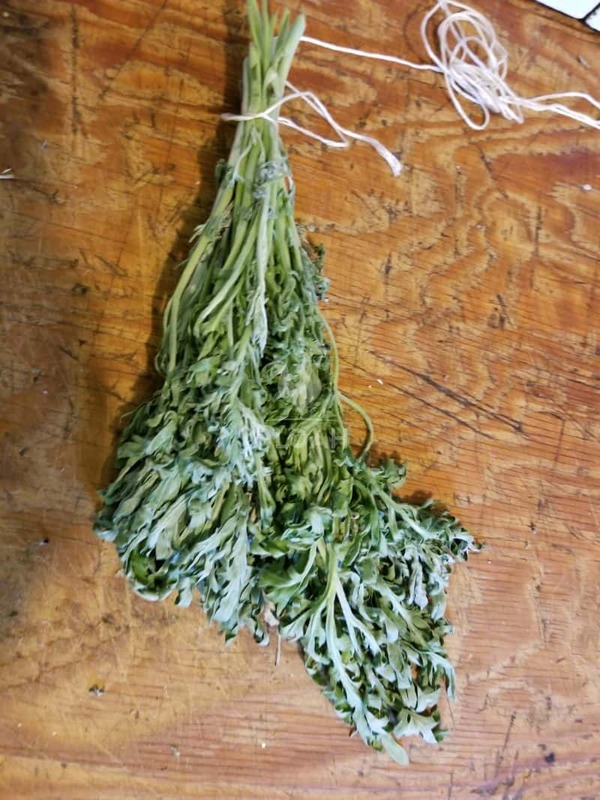 On our previous homestead we used purple sage because we had an abundance of that. I’ve also frequently used lavender and roses as a smudge because I had an abundance of both. 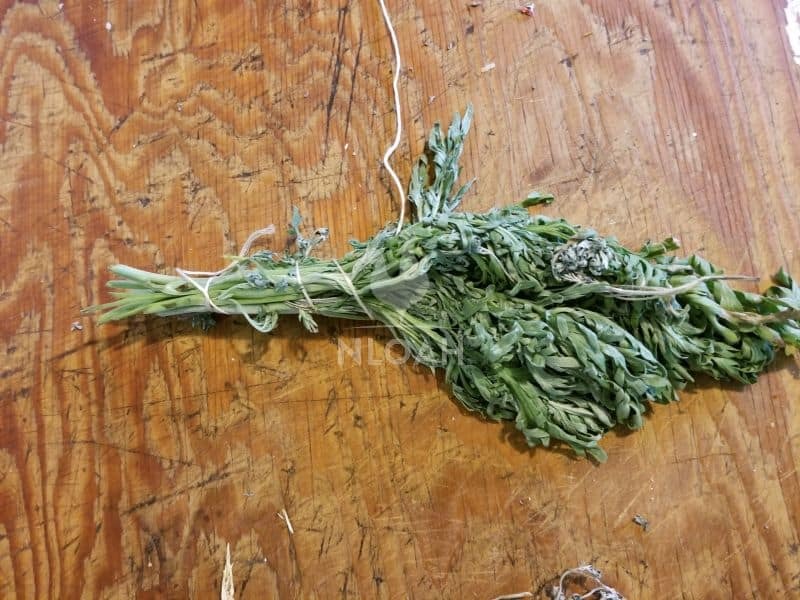 Many people get caught up in ordering their sage online and always insist that they are only using “white sage”. The truth of the matter is that by using what is already in your surroundings, you’re remaining true to the cause of smudging and you’re living “greener”. Designing and creating your own smudge sticks is easier than ever. First, determine what plant you’re going to use for smudging. 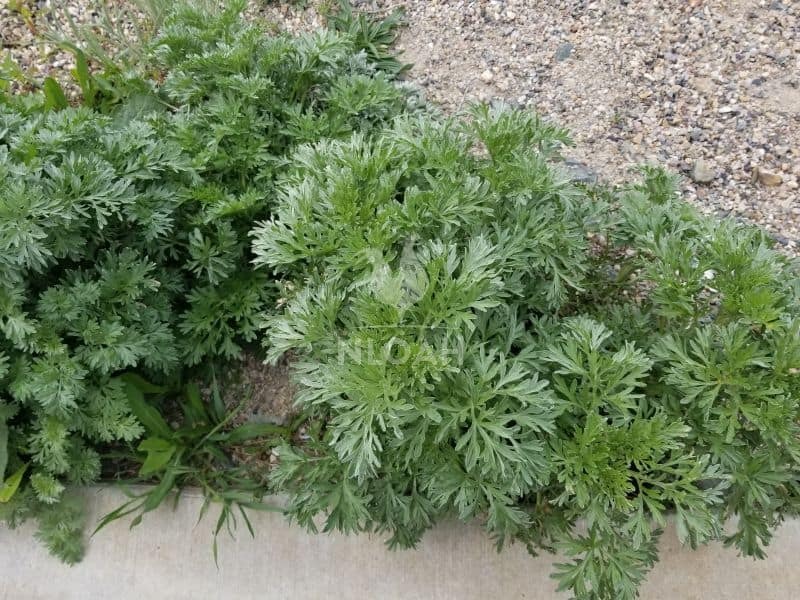 I’ve used “Mountain Sage” for mine and in the examples. When you’ve determined which plant or plants to use, then it’s time to gather your supplies. Special note: If using roses, be sure to either choose a thornless variety or remove the thorns carefully to avoid poking yourself. Also, choose more fragrant varieties of roses for smudging. 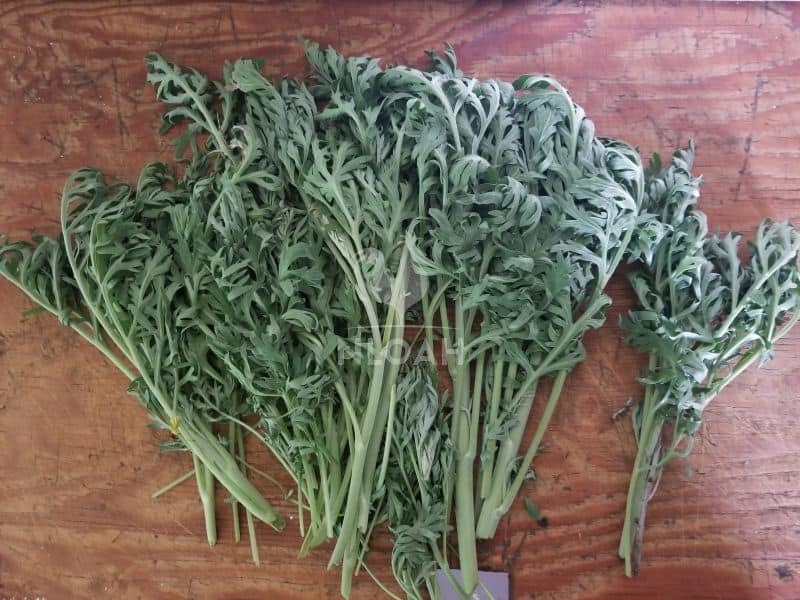 Take your sharp scissors or your pruners and in the morning, go out and cut your plant. You want it to be about 8 inches or so in length. Cut plenty to bundle up and smudge. I usually keep my bundle for smudging to the amount that I can hold between my thumb and forefinger. This is just an average. You can make yours larger or smaller. Take your twine, cotton thread, or string, and gather your plant close. Start at the cut end of your plant to do this. Snip off a piece of twine, cotton thread, or string at least two to three times the length of your plant materials. I then rehang my smudge stick and allow it to dry for another few days to a week before I use it. It should be dry enough that it burns well. If you touch it, it should be almost brittle to brittle. This will take a different amount of time depending on the humidity in your area. I dry mine hanging on a line over my washer and dryer and some days are more humid than others so the time can really vary for my smudge sticks to dry. 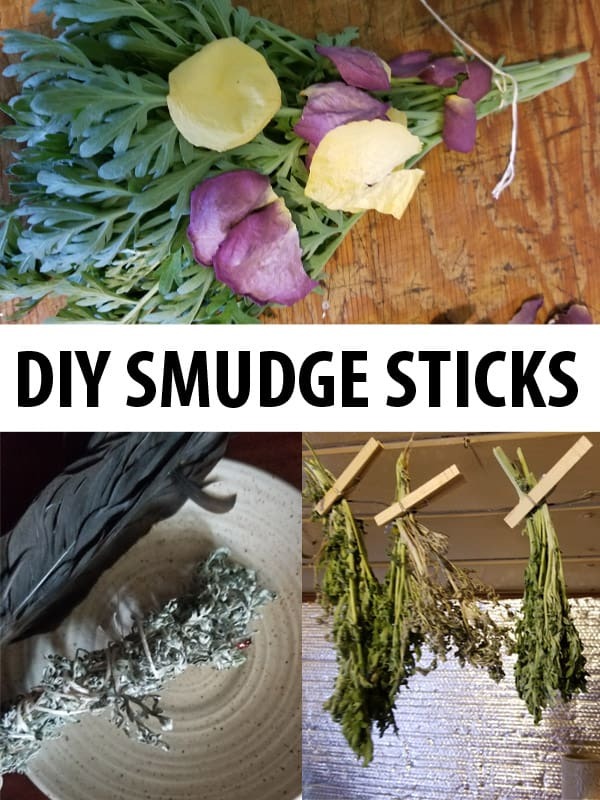 Now that you’ve made your smudge sticks and allowed them to dry it’s time to prepare your home for smudging. To prepare, first, take a few moments and remove any objects or items that you don’t enjoy. They may be memorabilia from past relationships, items that just don’t bring you joy, or things that simply need to be picked up and put away in their respective places. Don’t bother to deep clean, you can do that after you smudge your home. After you’ve prepared your home for smudging, you’ll want to find a large shell to place your smoking smudge into. Other options are a large hollowed rock, or a piece of stoneware, glass, soapstone. It’s all up to you and about what you have that will work well for smudging your homestead. Start by lighting the non stem end of your smudge stick. Allow it to light well and then gently blow it out. You want it to be smoldering and emit a large amount of smoke. Using a feather, or a bird wing or even your hand if you don’t have any of these available, gently fan the smoke around the room that you’re smudging. Don’t forget to gently fan it around yourself. You don’t want any of the negative energy to be on you either. Many people get caught up in trying to do the smudging exact. Smudging isn’t an exact art or science, what works well for one person may not work well at all for another. Consider what the overall goal of smudging is before planning it all out. Has someone been ill? If so, you may wish to just smudge the areas of the house where this person resided and went while ill. Others prefer to smudge the entire house and property, it’s all up to you as to what you will and won’t smudge. 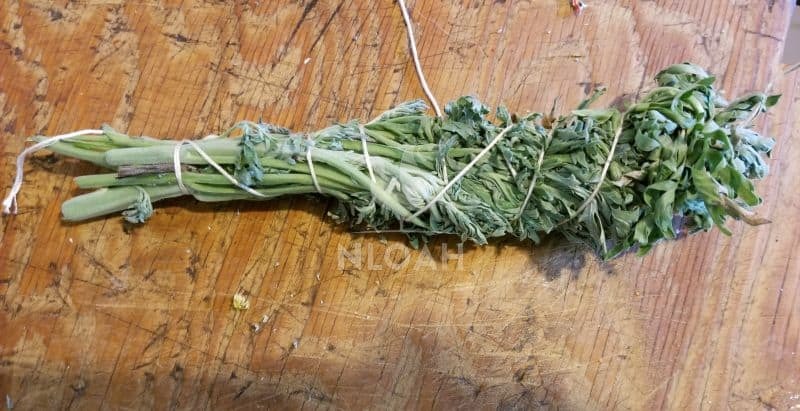 For personal reasons, or for lack of the right types of plants for smudging, some people use other methods of smudging. Keep in mind that there is no right or wrong way to do smudging, it’s all a matter of personal preference. Here are a few ideas for you if you prefer a different method. Use any of the above-mentioned plants in their essential oil forms. We use ours in a diffuser, but you can simply apply the oils in and around a room on a cotton ball or in a homemade room spray (use distilled water or vodka combined with the essential oil and spray it in the room when you wish to smudge). Another method is to use your essential oils in a warmer that melts wax to diffuse the scent around the room. You can add it to a scented wax or an unscented wax and diffuse the scent around your home. Use any of the above-mentioned plants in candle form and place them in and around the room that you are wishing to smudge. Light them and allow them to burn for about 30 minutes and then gently blow them out allowing the smoke to trail around the room holding the candle as you walk around the room. A pot pouri ri is a mix of dried herbs and scents that you use to fragrance a room or area. 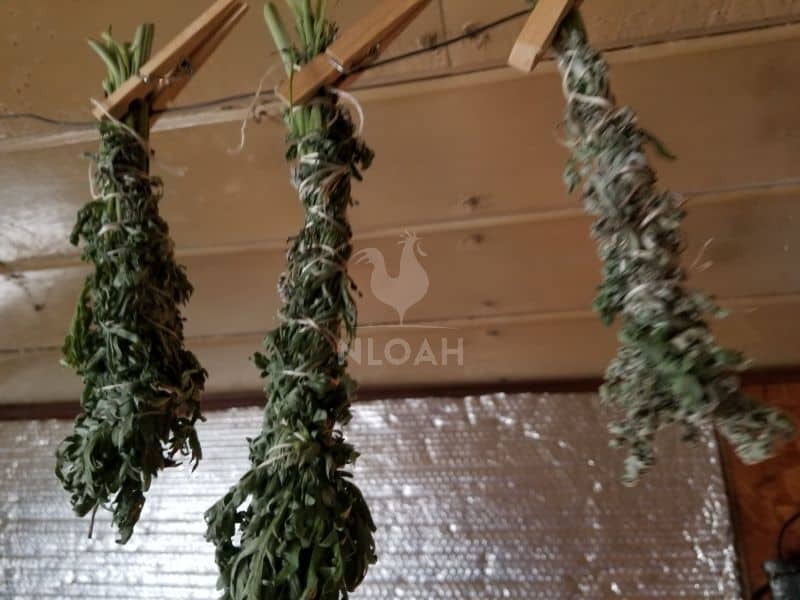 You can use your dried herbs and place them in a nice glass bowl or even a shell and place them in and about your homestead to fragrance the room and help keep illness and negativity at bay. You can add some essential oil to your pot pour ri as the scent dissipates. Purchase incense sticks or cones in the above-mentioned scents or plants and light these to use for your smudging purposes. You can even light them and after blowing them out waft the scent around the home by carrying the incense cone or stick around the room and waving it about to spread the smoke and thus smudge the home. Q: How Should I Smudge My Home? Start in one corner of a room and gently spread the smoke from your lit smudge stick around the area. Go counterclockwise through the room or your entire home. Be sure that you work your way back to the area that you started in. Q: Is There Any Particular Place That I Should Pay Careful Attention To? Pay careful attention to any areas where the ill person or negative energy may have been lurking. This includes furnishings that someone may have sat in, beds, corners, doors, windows, and entries and exits of the home. Q: Do I Need To Say Anything? Some people prefer to say a small blessing or prayer as they smudge, others prefer just to clear their head and think good thoughts or happiness throughout the household. If someone has been ill, then think about health as you smudge. There are no exact requirements here. Q: I’ve Heard That I Should Open Doors Or Windows When I’m Smudging, Is This True? When you’re smudging it’s good to open up doors and windows to let the negative energy of the room or home out. It also helps the smoke from the lit smudge stick to dissipate and thus cleanse the room. The thought is that the smoke will carry the negativity out with it so by doing this it gives the smoke a place to go. Q: Should I Play Music While I Smudge? Many people like to play soft instrumental music while they’re smudging. Some prefer to play Native American music that incorporates flute type music with it. The music is soothing to the nerves and will help to relax you as you smudge through your homestead. This is an individual preference and you can choose to smudge with or without music. Q: How Frequently Should I Smudge? It’s suggested that you smudge several times per year. If no one has been ill you may wish to smudge to welcome in the new season. If someone has been ill be sure to smudge as soon as they are well. 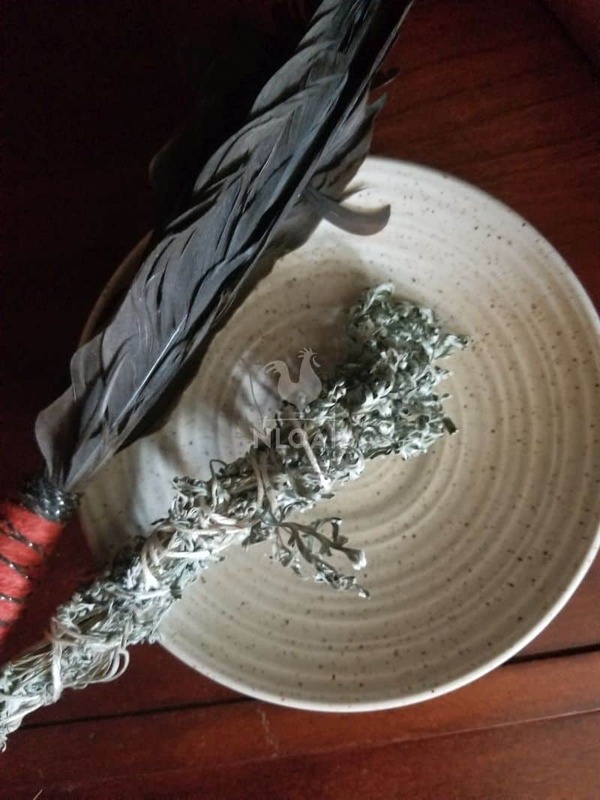 Other reasons to smudge include bringing a new life into the home (human or animal), at the beginning or end of a relationship, if there has been any trauma in the home, after slaughtering animals, if someone dies, and any other time that negative energy is clearly apparent on the homestead or in the home. Other important times to smudge are if you’re just moving into a new homestead or building. If you’re moving out of a homestead (to a new one) or building you may also wish to smudge the former dwelling to say “good-bye” to it. Q: I Feel Drained After I Smudge, Is This Normal? After you’ve smudged your home you should feel relaxed and comfortable. If you’re feeling drained, you may be harboring some of the negative energy. Upon completion of smudging a room or the homestead, stand in the center most area of the room and allow some of the smoke to go over you. This will cleanse you of the negativity that you’ve just purged from the house. You’ll feel the negative energy if you don’t do this. Take a few deep breaths of the scent and release them and say a soft prayer of release for the negativity so that you aren’t bogged down by it. Q: Can I Use Both A Candle And A Smudge Stick? Yes, if you wish you can light a few candles and use the smudge stick. If you do this, you may wish to keep the candle burning even after you’ve completed the smudge. 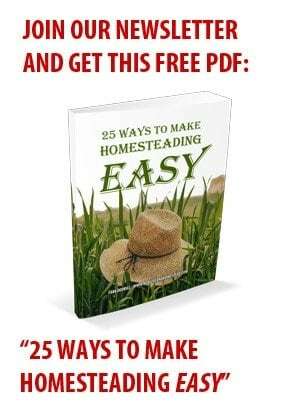 This will help to restore the positive energy to your homestead. Q: What If I Do It Wrong? The truth is, there is no exact right or wrong way to do your smudge. You can do it at any time of the day or night. You can do it any day of the week. You can do it however it feels most comfortable to you. You can choose to do it when no one else is around or you can do it while others are around. It’s all up to you. Choose what works well for you and go with it. You may even find that you smudge differently every time you smudge. Some people keep an essential oil spray around and use that to smudge certain areas in between a full smudge. They use this if they are feeling down or negative or if someone that was negative was in the room or area. Q: Are There Any Safety Issues I should Be Aware Of? Always have a shell, plate, bowl or something underneath of your smudge stick in case any embers fall. You’ll want to catch these to avoid burning holes in carpeting, drapes, or furniture and to prevent any potential fires. When you’ve completed your smudge you’ll want to plunge the end of your smoking smudge stick either into some sand or under some running water to fully extinguish the burning and stop the process. You can then lay your smudge stick on a plate, in a bowl or in your shell and allow it to dry out for the next usage. Q: Should I Schedule My Smudge? If you feel it necessary to schedule your smudge that is fine. Others prefer to do it as they feel it necessary. This goes back to the question of how frequently should I smudge. Q: How Long Should I Smudge In One Area? It only takes a little bit of smoke to smudge an area. You can count a few seconds as the smoke passes through an area, or simply swirl the smoke through the air. Too much smoke and you’ll have such a powerful scent that you won’t be able to use the room for a long period of time. 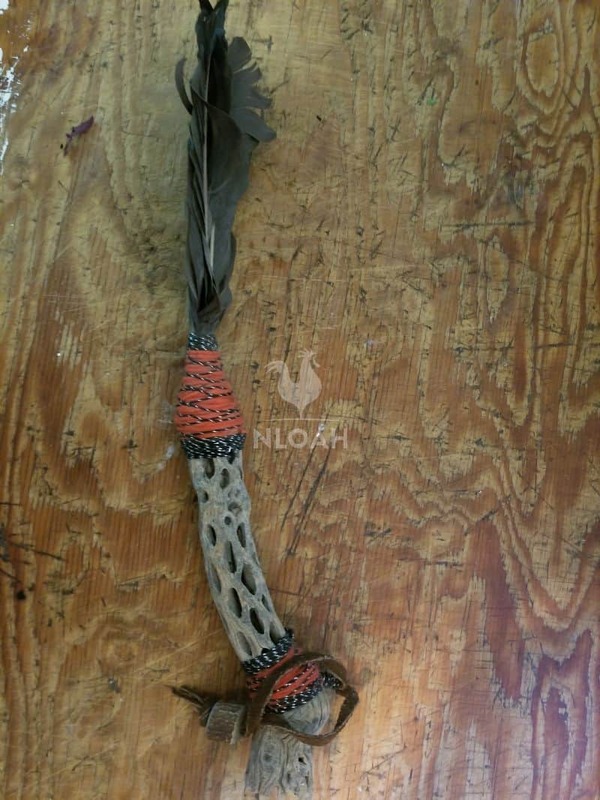 Now that you understand more about smudging, you can design and create your own smudge sticks. Try different blends or create your own unique smudge blend to cleanse your homestead. 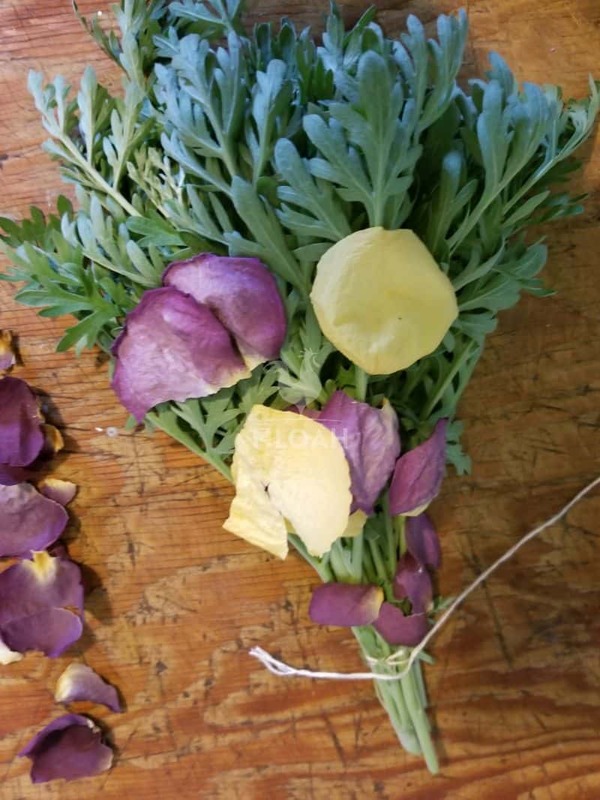 I’ve known many who choose to use a combination smudge stick of sage and lavender or sage and rose petals. It’s all up to you. There are no hard set rules or requirements when it comes to smudging. You’re always in control of how, when, and where you smudge. It’s easy and it’s nice to rid your property and homestead of negative energy. Your email is not subscribed to the NLOAH newsletter. Great article, thank you! So much content.